A retired Civil War era Union general is tried for war crimes by ex-Confederates at the Barkley ranch while the family is held captive. Jarrod Barkley: Nick, I promise never to call you a bull in a china shop again. Nick Barkley: We get back in one piece, you can call me anything you like. Q: How many episodes did each of the five main stars appear in? Why The Big Valley means so much to me. I began watching The Big Valley back when I was seven years old. That was thirty years ago. Little did I know then that the show would become something that would help me. I went through years of abuse through two different family members. If it weren't for the show The Big Valley I probably would have committed suicide at an early age. Instead of turning to drug or alcohol abuse, or other forms of hurting myself, I focused instead on the cast of this amazing show. The affection and love they had for each other made a big impression on me. I longed to be part of a family that cared for each other like the Barkley's did. They became so real to me at times that it blocked out how bad I was feeling about what I was going through and it gave me something positive to focus on instead of the pain and shame of living with what was happening to me. I am grateful to the entire cast of the show for giving me a way out of a bad situation and focusing on something good, something that wouldn't hurt me or anyone else. They mean a great deal to me and always will. I hope that sometime I will get to see one of them with my own eyes. I don't have to meet them personally. Just to see them will be enough. The show gave me a feeling of peace just to watch. It always made me laugh at times when I really needed it, and thrilled me at other times. The men on the show were the best looking men I have seen on any show (then or since) and I've yet to see a television show that shows a family that cares the way that they did on The Big Valley. It gave me such joy to be able to come home and watch the show. Certain episodes stayed with me from the time I first started watching it. One in particular showed what a caring man Nick was. In the episode "The Prize" where Heath brings home little Joey. The scene where Nick is trying to get to sleep but can't because Joey is teething and very fussy I still remember to this day, even though I haven't seen the episode in over twenty-five years. When he referred to himself as "Uncle Nick" and Audra was watching from the doorway I thought was one of the best scenes in that series. Another episode was "The Iron Box" where Nick and Heath were arrested for cattle theft and put in a chain gang I thought was incredible acting by Peter and Lee. 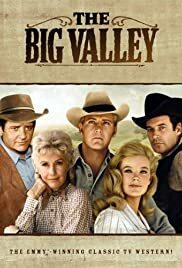 I have hoped for years that someday a Big Valley reunion will be filmed. I know that Barbara and Richard are gone, but I think it would be great to see Peter, Lee and Linda reunited in a Big Valley reunion. This series will always hold a special place to me. It's been a part of me for as long as I can remember and will always remain a big part of me. 56 of 57 people found this review helpful. Was this review helpful to you?